Boardman - Kelly Ann Moyer, 39, died August 26, 2018 from Anaphylaxis- fatal Anaphylactic allergic/asthma reaction at Cleveland Clinic. Kelly was born December 31, 1978 in Youngstown, the daughter of Terry and Pam Cua Moyer. She was a 1997 graduate of Boardman High School and went on to graduate from The Ohio State University with a Bachelors of Fine Arts Degree in 2002. Kelly was a server at Kensington Grille and the Blue Wolf Tavern. Her true passion was photography and she had a love for animals, where she volunteered for animal charity. 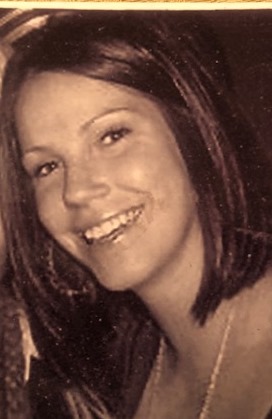 Kelly was a giver, even at the end of her life having gave the gift of life by being an organ donor. Kelly is survived by her parents Terry and Pam Moyer of Poland Twp; paternal grandfather, Howard L. Moyer of Poland; aunts and uncles Kim (J) Cua-Bonner and Lynne (Paul) Moyer-Lenz; and numerous cousins. She also leaves her beloved dog and cat, Roscoe and Nemo. She was preceded in death by maternal grandfather Samuel Cua; maternal grandmother, Estella Cua; and paternal grandmother, Lillian Moyer. A memorial service will be held Saturday at 1:00PM at Cunningham-Becker Funeral Home, 270 N. Main St., Poland. Friends and family will be received from 11AM-12:45PM prior to service at the funeral home. The family would like to thank the medical staff at the Cleveland Clinic MICU, Dr. John Dahdah and Catherine Iturate. Also a special thanks to family and friends for their love, support, and prayers.